Hi everybody. I love how Elmo from Sesame Street says it. Hee. Elmo makes me smile. 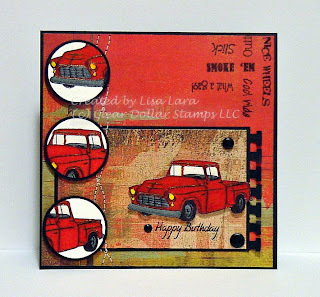 This is my card for Clear Dollar Stamps Weekend Color Challenge #36 hosted by Alex on Paper Craft Planet. Alex' card is so fun and cute! 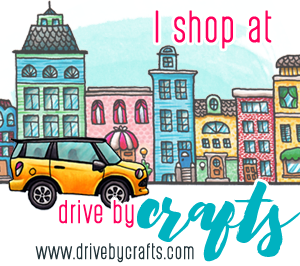 You've got to check it out! I chose these new releases CHEVY TRUCK 1956 and COOL RIDE from CLEAR DOLLAR STAMPS. I made this card for my brother for his upcoming birthday. He had a black Chevy Truck once and I just had to use this for his birthday. I tried using black, but the color did not come out well so I decided to make the truck red. I think that is one of his favorite colors anyway. WHAT I DID: My card is 5x5. I came up with this sketch and this size fit with it well. First I stamped my truck 4 times in versamark then black ink and heat embossed. I punched out the front, back and middle and cut out one full truck. I colored using the Bic Mark-It since I do not YET own Copics. For the red, I colored one small part at a time with the red and then outlined with burgandy and rubbed the red tip on the burgandy to blend and get the rustic vintage color. Cool. For the sentiments in the corner, I arranged the sentiments the way I wanted on my paper then carefully placed my acrylic block on top to keep the arrangement and stamped in black. My block has a grid, so I used that to align it in the corner. It worked pretty well. Lisa this is FABULOUS!!! I love how you did the images in the circles, how fun and creative! What a SUPER card! Lisa this card is incredible!! Great job!!!! Great card! Love what you did with the circles to highlight different parts of the car. Your brother will love it! Lisa this is fabulous!! I L O V E how you highlighted part of the truck on those three circles! That is my favorite! Great Job! And yes I am LOVING my guest designer time SO much! I am hoping I will be able to stay on after september! hope hope hope!! Oh this is so totally cool! and guy cards are so hard, luv it!! Oh, I like how Elmo says it too! WOW Lisa!!!!! This is one out-of-this-world fabulous card!!!!!!! Love, love, love it!!!!! Oh Lisa!!! Lisa!! Lisa!! How totally cute! Love those circles with parts of the truck on it!! Love Love This!! Great Job!! THis is soooooo COOL~I love how you spotlighted different parts of the truck.. great colouring too! Lisa, that is great. I LOVE the little circles with parts of the truck. WOW. I am SO CASE'ing you! LOL! Hope you are feeling well this week. 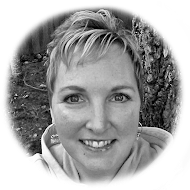 Congrats..On being featured Stamper this week! This is a really cool card Lisa. You have grown so much as a stamper. I LOVE this card. I am sure your brother will too. I think you would love copics. They blend so nicely.. Really super super idea with the 3 circles.. Great card and congrats on being chosen..